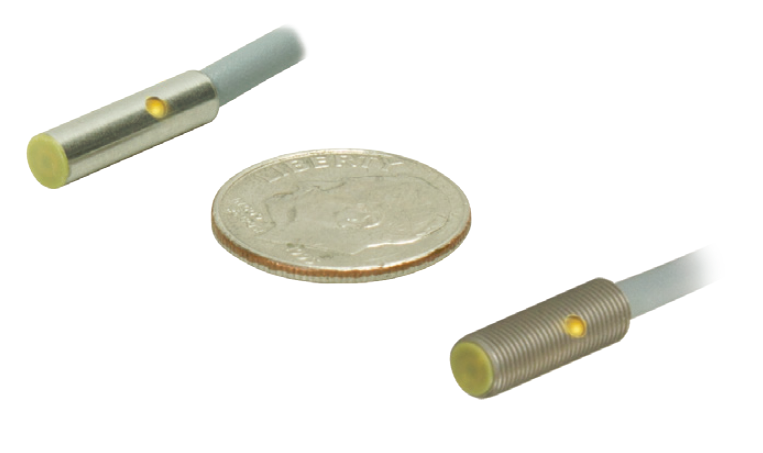 TURCK announces EG05K and EH04K4mm and 5mm barrel sensors, which are 15mm shorter than the standard EG05 and EH04, which allow them to be used in applications previously not possible. These more compact sensors will benefit the stamping industry, medical device manufacturing and any application where small sensors are a requirement. The EG05K and EH04K are housed in a stainless steel barrel and come with a high flex TPU cable that can withstand harsh applications, including those involving corrosive chemicals. Offering a 1mm sensing range and full flush mounting, the EG05K and EH04K reduce the chance of damage while still offering the sensing range demanded. The EG05K and EH04K come equipped with a high visibility LED to provide users a visual indication of the sensor’s status. The EH04K is available in 2 meters of potted cable, while the EG05K is available in 2 meters of potted cable or with an integral M8 connector. The sensors are IP67 rated, have an operating temperature range from -25° C to 70° C, and offer PNP and NPN configurations for increased application flexibility.